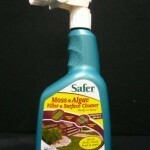 PRODUCT DESCRIPTION: Safer® Brand Moss and Algae Killer is made from naturally occurring, biodegradable fatty acids. This water-based products is non-corrosive to metals, contains no zinc or iron, and is non-staining on most surfaces. 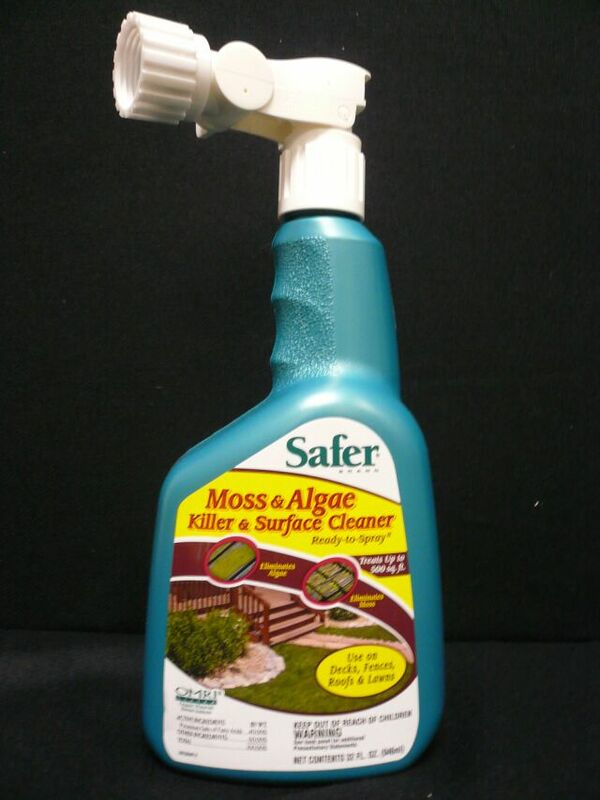 WHERE TO USE IT: Safer® Brand Moss and Algae Killer is ideal to use on: roofs, decks, siding, walkways, home greenhouses, growing containers and benches, structural surfaces, hardened bark of trees, lawns and turf. RATE OF APPLICATION: The container will treat up to 500 square feet depending on they type of surface treated and degree of infestation.